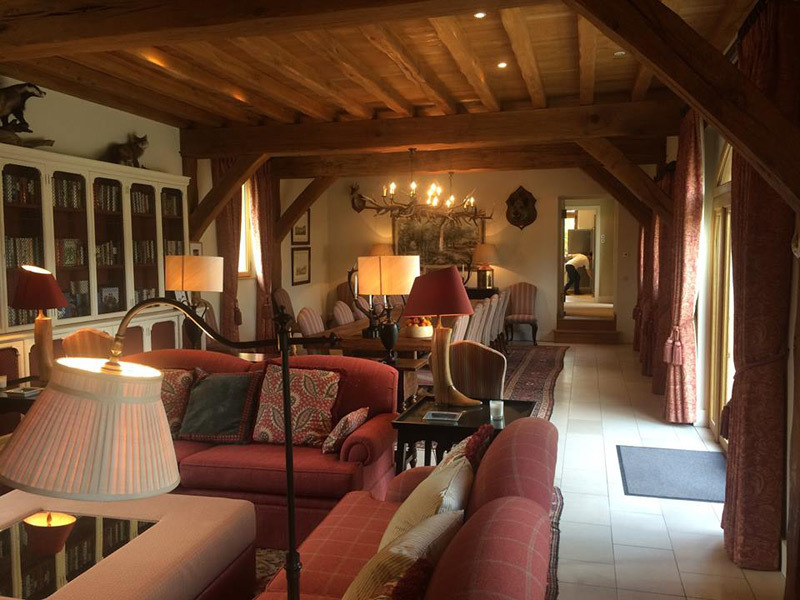 This private Hunting Estate is situated in the beautiful Loire Valley in central France. The park surrounds the grounds of a 16th century Château and wild boar have been hunted on the land for many centuries. English owned and run for the past six years, the Estate provides a unique experience combining the finest traditions of French boar hunting with unparalleled levels of service and comfort. The boar on the Estate are descended from ancient bloodlines and are managed in a truly sustainable way, which maintains their pure status and outstanding wild characteristics. The hunt is done in a traditional manner using hounds which like the boar, have bloodlines going back many generations. Typically the huntsman will identify a suitable boar to be shot, which will then be separated from the sounder (group) by the hounds. Each hunter will have the opportunity to shoot at least one boar per hunt day. The Estate provides a unique experience for its clients which ensures the hunters see every detail of the hunt, from moving people around the Estate, to tracking particularly cunning boar and watching the hounds at work. The hosts pride themselves on providing outstanding quality of service and superb exhilarating hunting. Having taken numerous parties there in recent years, we agree that this is boar shooting at its best. The Estate consistently achieves its target numbers on driven days and is able to offer a limited number of exclusive private hunts for groups or syndicates each season. Whilst they do not guarantee specific weights or size of quarry, they shoot only extremely fine specimens and Clients frequently have their trophies mounted. Boar hunting here is from the beginning of October until the end of February and packages can be tailored to meet specific requirements. Quotations given will give you a complete breakdown of your day’s hunting, with no hidden extras. A trip to the Loire Valley is an experience to be treasured, not only because of the spectacular sport, but also because of the immense enjoyment gained from spending a day in the beautiful Loire Valley, hunting a truly wild animal in its natural habitat, and enjoying French hospitality of the very highest standard. The bedrooms and relaxation areas have been designed to provide guests with excellent comfort in a stylish and picturesque environment. The utmost attention to quality can be seen all around the lodge, from the beautiful furniture to the crisp bed linen, luxurious towels and toiletries and the collections of books and games available. All meals are served in the dining room and are prepared by a chef to the highest standards using locally sourced ingredients. A classic wine selection has been assembled by the expert sommelier to accompany meals, and these are included in the price of the hunt. If you are looking for something a little more special, an additional Prestige wine list is available providing rare and premier wines at extra cost. We can also arrange a two hunt day, three night stay package, along similar lines. We are able to design a fully tailored experience to meet individual requirements, including arranging all travel and insurance requirements.